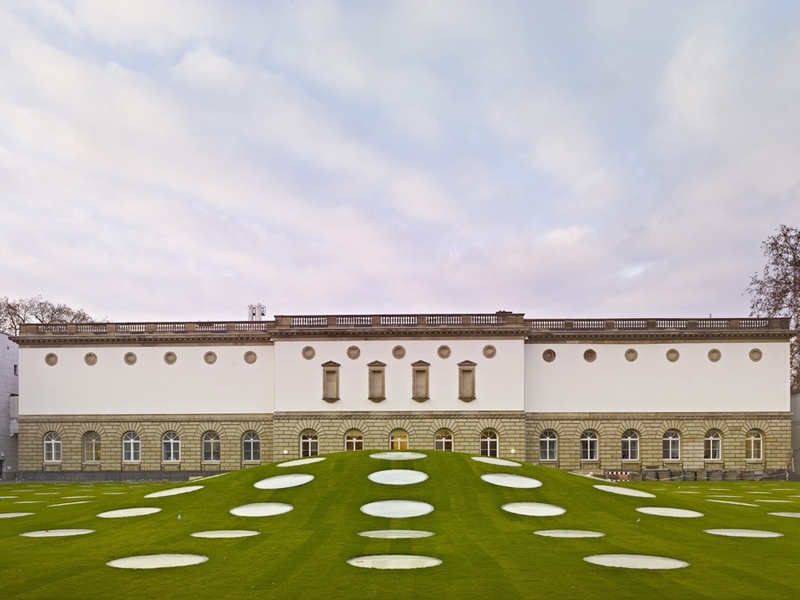 Frankfurt’s Städel Museum, hosted a design competition back in 2008 in efforts to bring in a fresh architectural team to design a new wing for the museum. Fast forward to today, Schneider+Schumacher Architekten, the winners of the competition, have completed their vision. The 33,000 square foot addition was designed with the purpose of housing the museums contemporary art collection. Because of the modern intention of the space, the Frankfurt based firm wanted to create a contemporary structure to suit the art. Schneider + Schumacher constructed a super cool subterranean space with a grand central staircase and 195 circular skylights, which creates an awesome white patterned effect on the museum lawn. The space was designed with the utmost flexibility for change within the museum. 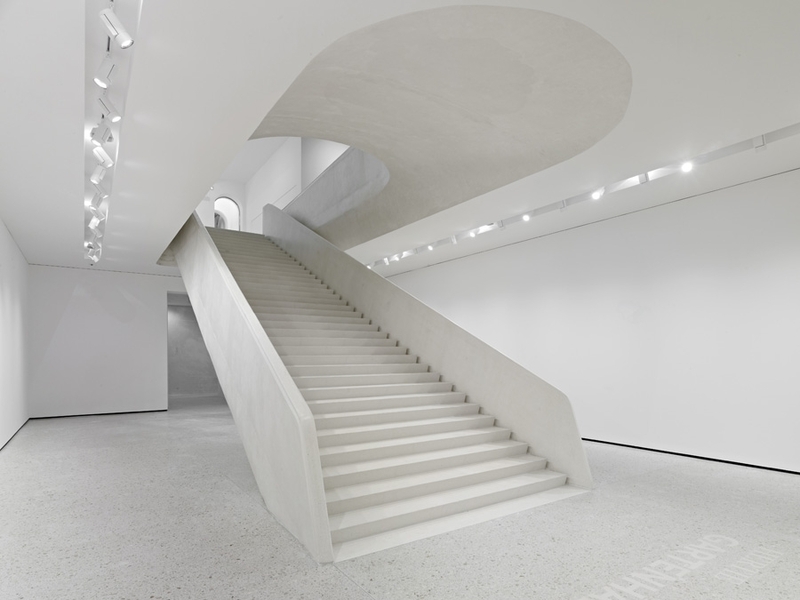 White is the dominant color of the interlocking galleries, which allows for exhibitions to transition easily. Interior partitions create a flexible route through the museum, and are conveniently adjustable depending on the needs of the current art show. The impressive rolling lawn is designed to create an exciting lighting effect at night time too, as the circular skylights glow from the light in the new structure below.